Golf Tournament HAS BEEN POSTPONED! Check back later this spring for further details. The new date is tentatively 7/26. There will be a Football Parent Information Meeting on Wednesday, March 27th at 6:30pm in the Lassiter High School Cafeteria. The meeting is open to all parents and players interested in playing football at Lassiter HS. New LHS Head Football Coach Sean Thom will give a presentation about the program and the upcoming football season. He will inform parents on what to expect this season and all the important dates we need to know. Coach Thom can answer any questions you may have about the football program. Lassiter Touchdown Club members (LTDC) will also be there to answer any questions you have. At this meeting we will collect deposit checks from parents. These deposit checks are for equipment and requiredvolunteer duties. Neither check will be cashed if all equipment is turned in at the end of the season and volunteer duties are completed. Both checks are to be made payable to LTDC dated 12/1/19. Both checks are for $300 each. Team moms for each grade will be there to collect the deposit checks. Freshman Team Mom - Kelly Benton, Sophomore Team Mom - Lisa English, Junior Team Mom - Renee' Brown and Senior Team Mom - Marcy Friedman. Players will not be allowed to pick up equipment until both deposit checks have been collected. When registering online there is an option for volunteer opt out. If you opt out there is a $300 fee. During the course of the season each family is required to complete 4 volunteer credits. If you have more than one player in the LHS Football Program, it is 4 volunteer credits per family, not per player. It is important to attend this meeting and learn all the important dates for the season. It is also important to go ahead and get the deposit checks in so the players can pick up their equipment and get a locker on equipment pick up day. We understand some boys may not play football in the spring because of other sports. You can still pay deposit checks and register so you can get equipment and a locker when your son is ready to start. Register for the upcoming 2017 season! 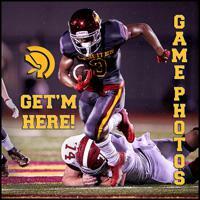 Lassiter Football Photos -- All Years!